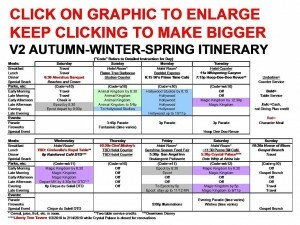 This page brings together to one place key links to help decide how long your family should stay at Disney World trip on this site. 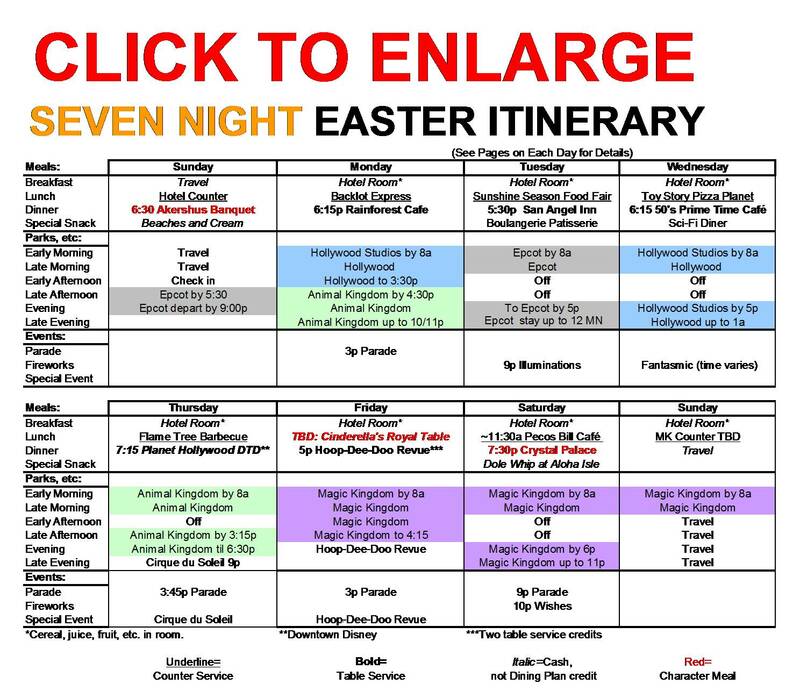 I have noted elsewhere in the instructions for typical families visiting Walt Disney World for the first, and perhaps only, time, that they should plan to be there for 8 nights and 9 days to see all of its best, while also building in sufficient time to relax and rest. These instructions are designed for typical first time family visitors who are not sure whether or not they will ever return. 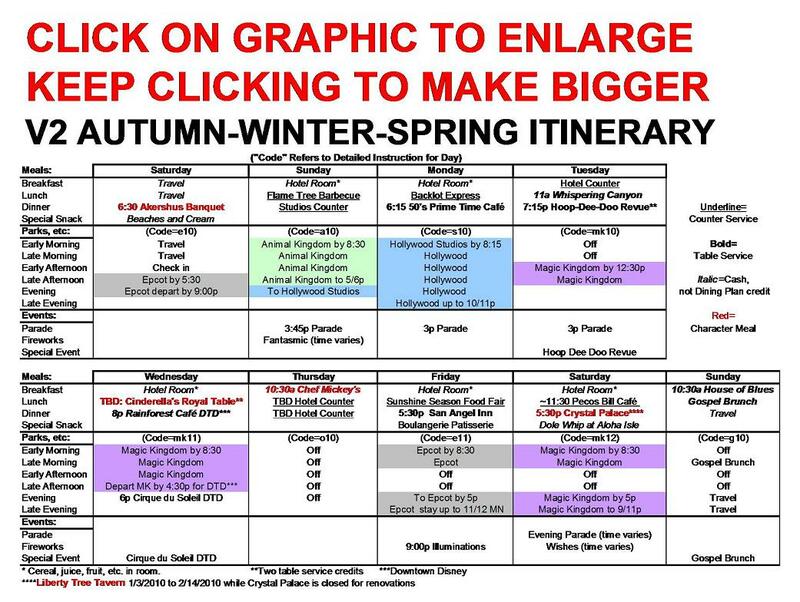 This page addresses how long to stay at Walt Disney World for a subset of first time visitors: those seeking the most comfortable visit. I am publishing both series at the same time to help those who are looking for bargains and deals on some things, so that they can spend more on others!! Links to everything in these two series are at the bottom of the page. HEY–THIS PAGE IS ABOUT 2010–IF YOU WANT MAY 2011, CLICK THIS!! 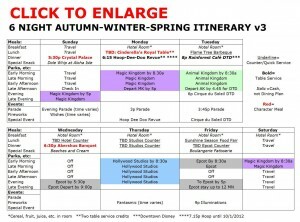 This page outlines May 2010 Walt Disney World crowds, prices, deals and discounts, weather, adds a few other notes, and ends with week by week summaries. 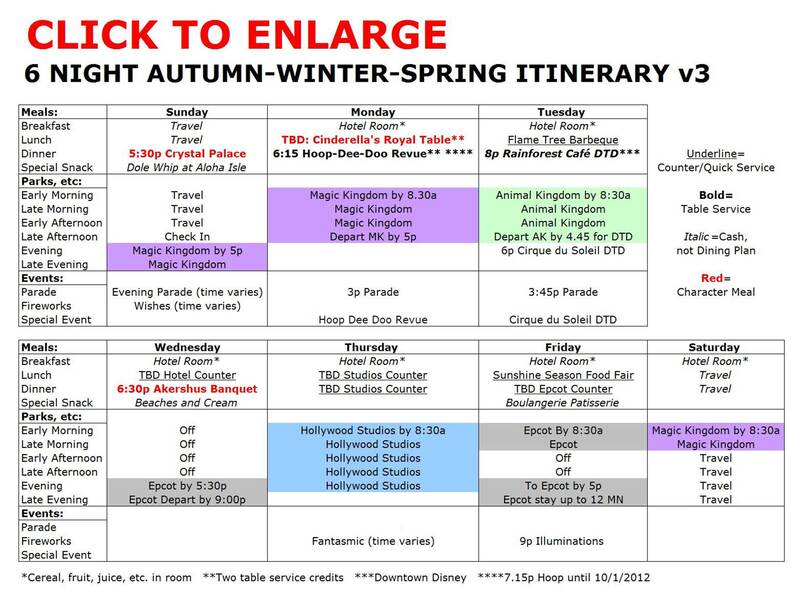 This six night Walt Disney World itinerary is a variant of the standard eight night Autumn-Winter-Spring itinerary, but two days shorter, and with a Sunday arrival. 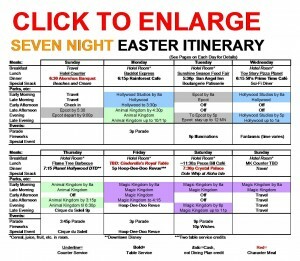 See this for a seven night variant, with a Saturday arrival, and this for a seven night itinerary with a Sunday arrival. Click the image to open it; when open, keep clicking to enlarge it more.